A lacrosse beginner is considered to be anyone who has been playing the sport for less than two years. Some children will advance quicker than others due to athletic ability and the amount of time they practice on their own. Age is also a factor; a fifteen-year-old is likely to advance faster than an eight-year-old. This section is a foundation for the beginning lacrosse player. It is an overview of the basic skills and concepts players need to know, and provides drills and games that foster the growth of these fundamentals. These are skills that even the best players in the world work on, day in and day out. The thing about lacrosse is, the better you get at it, the more fun it becomes to play. If you can give yourself a strong foundation in all these basic fundamentals, then you will be well on your way to becoming a great player! Lacrosse, considered to be America’s first sport, was born of the North American Indian, christened by the French, and adapted and raised by the Canadians. Modern lacrosse has been embraced by athletes and enthusiasts of the United States and the British Commonwealth for over a century. Lacrosse is a team sport that is played using a small solid rubber ball and a long-handled racquet called a crosse or lacrosse stick. 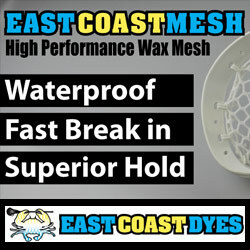 The head of the lacrosse stick is strung with loose netting that is designed to hold the lacrosse ball. Men's lacrosse is a contact game played by ten players: a goalie, three defensemen, three midfielders and three attackmen. The object of the game is to shoot the ball into the opponent's goal. The team with the most goals wins. 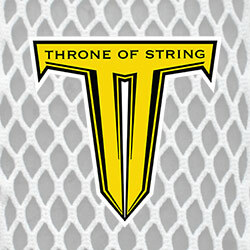 Boys lacrosse is a contact game played by ten players: a goalie, three defensemen, three midfielders and three attackmen. The object of the game is to score by shooting the ball into the opponent’s goal and to keep the other team from scoring. The team scoring the most goals wins.